One of our favorite reasons to review here at MamaBreak is because we often get to share products that we absolutely adore with our readers. Kids and Pets is a product that I have been using for over 5 years, and simply could not live without. As a family with 3 kids, 2 dogs, and a cat, it is a MUST HAVE in our home, and we hope you love it as much as we do! 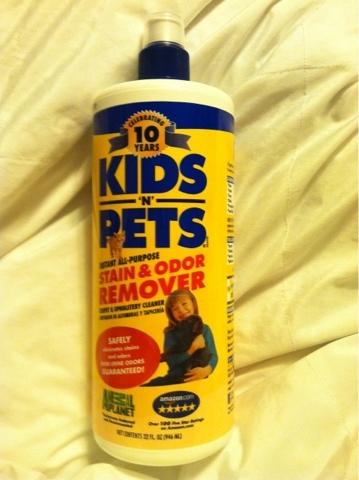 Kids and Pets is an odor and stain remover that is safe for Kids and Pets. I love the name because it cleans up after Kids and Pets AND it is safe for them as well. We are so careful in our home with the products we clean with, and we are so glad that we know this is safe. 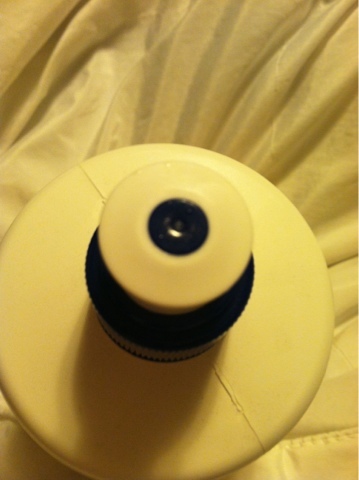 The top is a convenient pop top that is easy to use, but put it in a space our of reach of kids! We use Kids and Pets on all of the nastiness in our world from urine to vomit to the sippy cup mess that was left in the car (YES! It WILL take care of that smell!). It can be used for general cleaning as well AND as a stain removed in the laundry! MamaBreak received a bottle of Kids and Pets to review here on the website. We did not receive any other type of compensation. As always, our experiences and opinions are our own.